This sweet purple flower is one of the first wildflowers to emerge in spring and its tiny blooms can be purple, white, or pink. 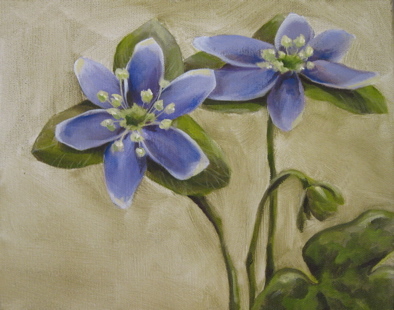 The name hepatica refers to the three-lobed liver shape of its leaves. It was once thought to have medicinal value for liver ailments.